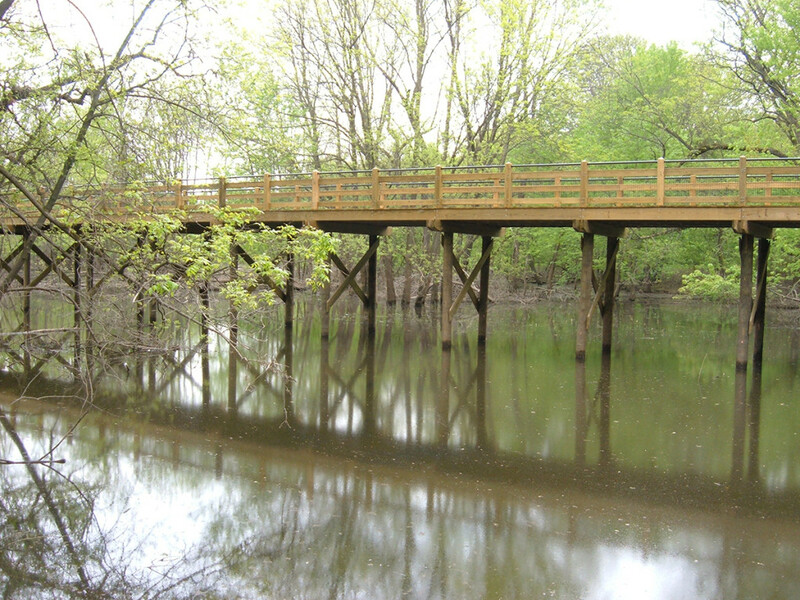 Kent County Parks, Millennium Park - Byce & Associates, Inc.
Design Program: On 1,500 acres of land which was previously mined for gravel, Millennium Park was born. The park has a natural habitat environment and borders the Grand River, and stretches through Grand Rapids, Walker, Wyoming and Grandville. The Millennium Park was designed for the enjoyment of the many residents and visitors that come to the area. 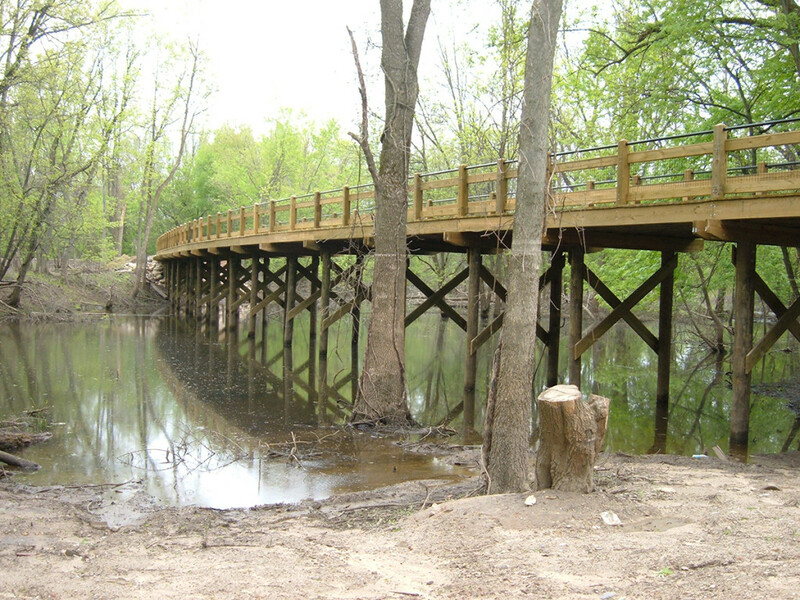 Byce & Associates, Inc. designed all of the underground wiring, transformer installation, electrical sitework and equipment wiring for the entire park project as well as all of the bridges and boardwalks. 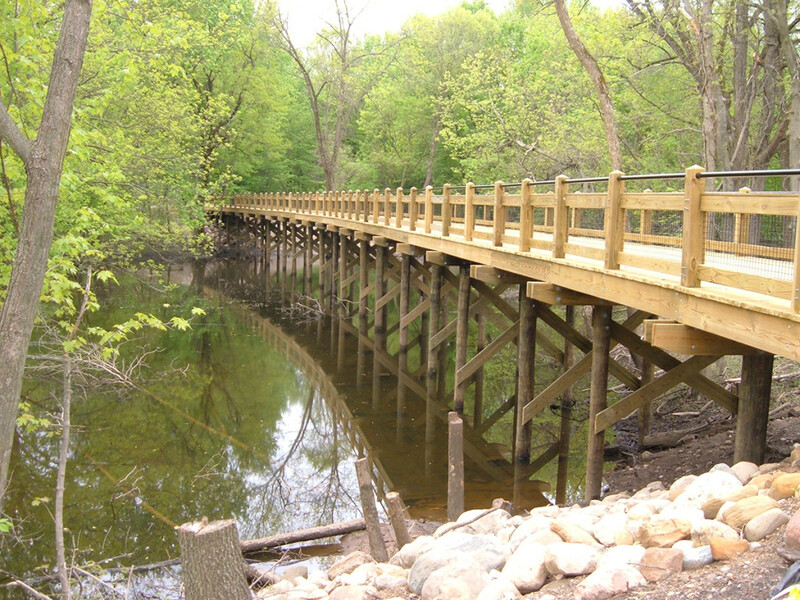 Six bridges were constructed using various framing systems including: timber framing, weathering, steel, and metal plate arch style. Design Challenges: One of the obstacles in doing this project was to assure that the lighting was not too obtrusive and would blend in with the natural setting. Because of the 1,500 acres of land that Millennium Park was developed on, the distance made it more difficult to do the voltage drop.